Also Plays Under: Phil Galfond spends the vast majority of his time on Full Tilt Poker, but when he does play on Pokerstars, he uses his "MrSweets28" account. Online Notes: Was the second most profitable player on Full Tilt Poker in 2008 behind Phil Ivey. "OMGClayAiken" won almost $7 million dollars on Full Tilt in 2008 ,over 153,907 total hands. 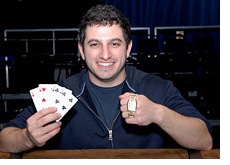 Since the beginning of 2007, Galfond is up over $7.3 million dollars on Full Tilt Poker. "OMGClayAiken" is easily one of the most feared online players in the world right now. He is usually seen in the high-stakes $500/$1000 No Limit Hold'em, Pot Limit Omaha and PLO/PLHE mix games that often run on Full Tilt. He will take on any player at any time, and is usually successful in nearly every situation that he finds himself in. 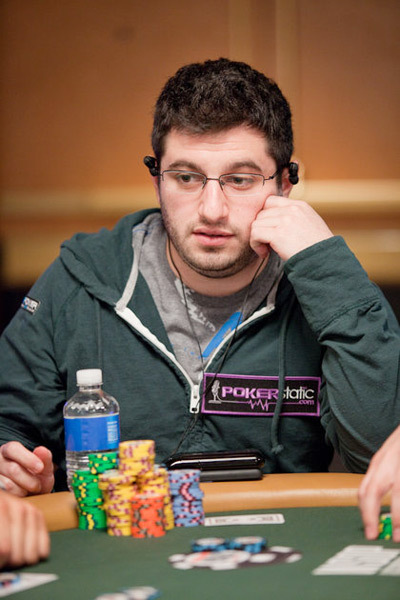 Live Notes: Galfond briefly appeared on the fourth season of "High Stakes Poker". Galfond burst onto the "live" tournament scene in June of 2008 when he won his first WSOP bracelet in the $5k PLO rebuy event. Galfond proved just how good he was by besting an incredibly tough field. The final table included the likes of David Benyamine, Johnny Chan, Daniel Negreanu and Phil Hellmuth Jr. - not exactly an easy table. Galfond earned the respect of most at the table through his strong play and calmness under pressure. Phil earned $817k for his victory, and currently has just under $940k in total lifetime cashes. Galfond is a player who prefers online play and elects to play a very light "live" tournament schedule. Other Notes and Info: is one of a handful of players to ever accumulate a stack of over a million dollars in one sitting on Full Tilt Poker. Galfond was born in 1985.